All good points, and I think they're precisely why they suppress the information. But then, the media does discuss all sorts of doomsday scenarios on the horizon: asteroids, pandemics, and nuclear war. The closest type of event that governments struggle with is volcanic activity, but they're way better at predicting that than earthquakes. 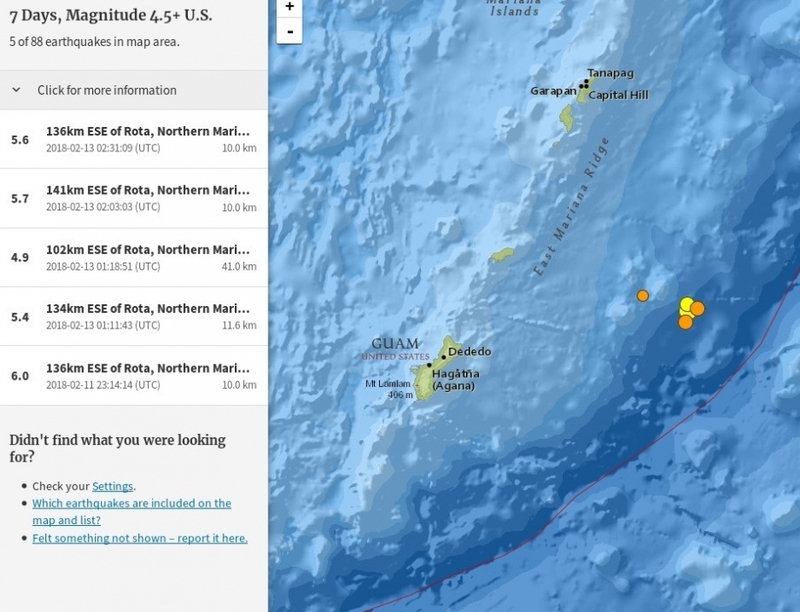 There's been a cluster of large earthquakes in the Mariana Islands very similar to what was going on in Taiwan. This is filtered for 4.5 and above. That blue line to the east of the quakes is the Mariana Trench, the deepest point on earth. We know less about it than we do the Moon.